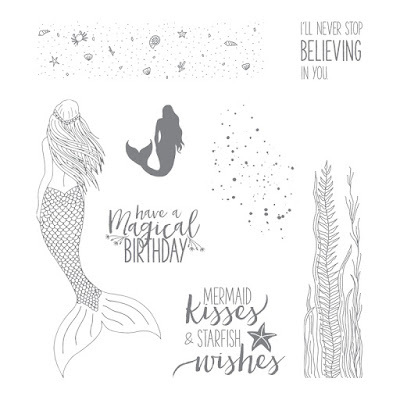 My background was inspired by Su Mohr, a stamping Pal of mine and the Magical Mermaid stamp set. I was not happy with how dark it started out, so I turned the stamped space into something a little different than her scene, then added the sentiment and ribbon much like her original design. The rectangular frame of the stamped image was created by inking up my acrylic block and stamping it onto Shimmery White card stock. I hope you liked looking today. Please let me know you were here by leaving a comment below. Any time you need Stampin' Up! 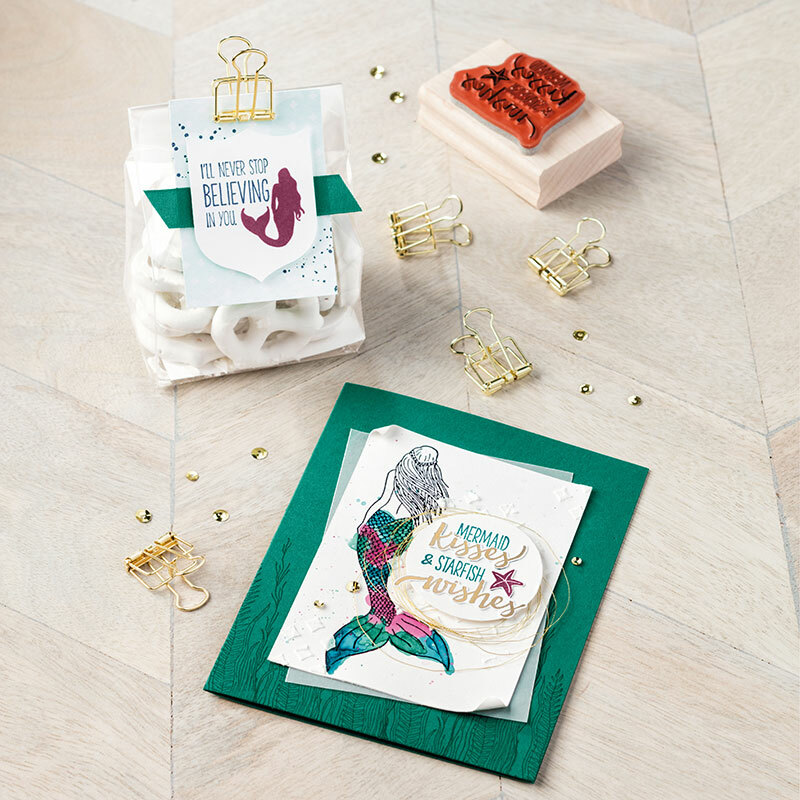 products, I hope you will use my Online Store.